I only watched two game minutes of the Superbowl last night and I picked the right two game minutes to watch, the last two. Wow. I was hoping the Giants would win. Congrats Giants and Eli Manning. Mr and Mrs Manning must be so proud of their boys, and with reason. I was looking at an insert that had come with our Transformers DVD about a Bumblebee Camaro contest. 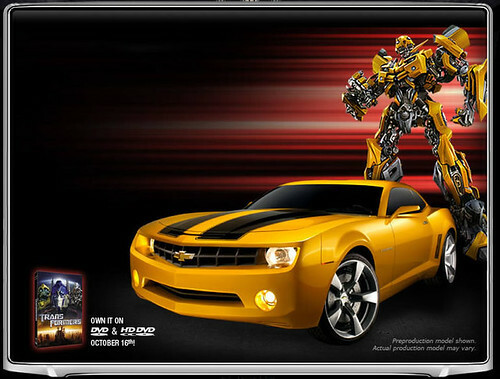 You could win a Chevy Bumblebee 2009 Camaro if you had entered before 1/15/08. Too late. Ah. I love Bumblebee. When I was a kid, our first new car was a ’67 Camaro, maroon/burgundy with a black vinyl interior. I went on the test drive with my dad. 5 years old, in the front seat, legs sticking out because the seat hit about mid-calf on me, lap belt only. Crank windows, automatic transmission. I don’t remember if it had power steering, but I doubt it. Dad wanted to save money and didn’t even get the factory radio. For a few years we had this little brown cube AM battery powered radio that we used in the car. Dad did break down and have a stereo put in at some time. 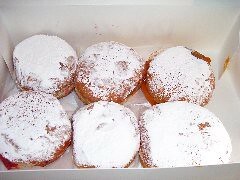 Tomorrow is Paczki Day! (Poonch-key) Mardi Gras! The last day before lent begins. Ash Wednesday is, of course, Wednesday. Easter is March 23rd this year. Just a week after St. Patrick’s Day.